Nope, you didn’t read that wrong. It does in fact say “Bacon Vodka”. Infusing vodkas is a fabulous way to switch up the flavor of a drink and make it all your own. 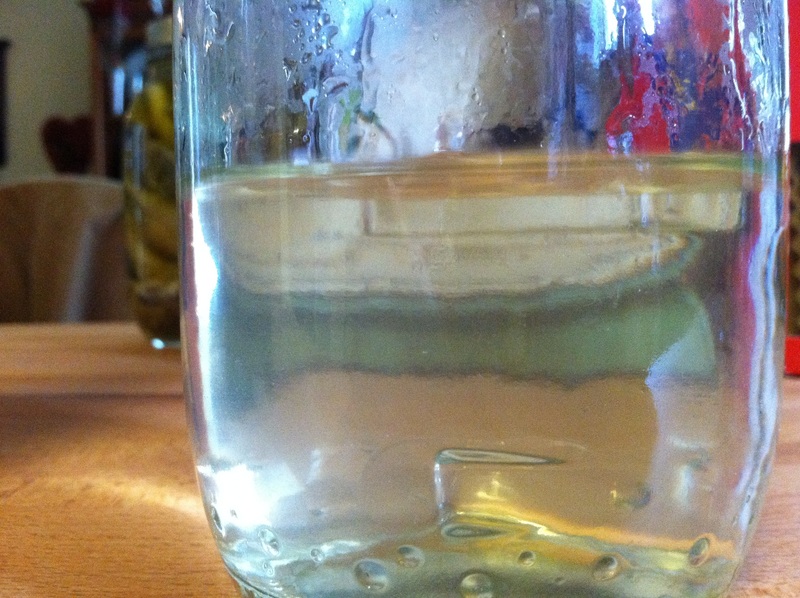 Why buy fancy infused vodkas when you can do it yourself? Onto bacon infused vodka. Why bacon vodka you ask? 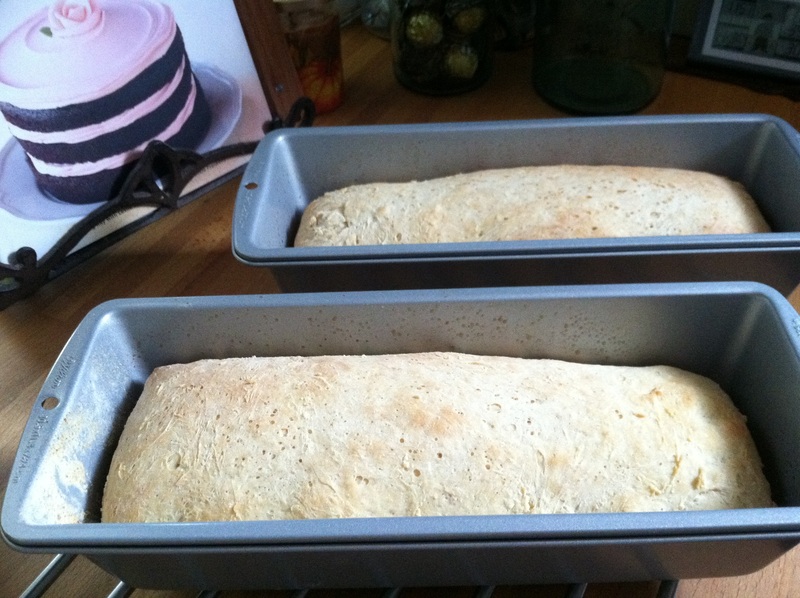 Because I think it will be totally delicious in a bloody mary. That smokey flavor from the bacon. Mmm. I searched the internet long and hard and the length of time to leave the bacon in your vodka as well as the amount of bacon was all over the place. So I collected the totals and did my own version. Sure, you can buy bacon flavored vodka, but it’s just artificial flavoring. Meh. I’ll stick with real deal flavoring. 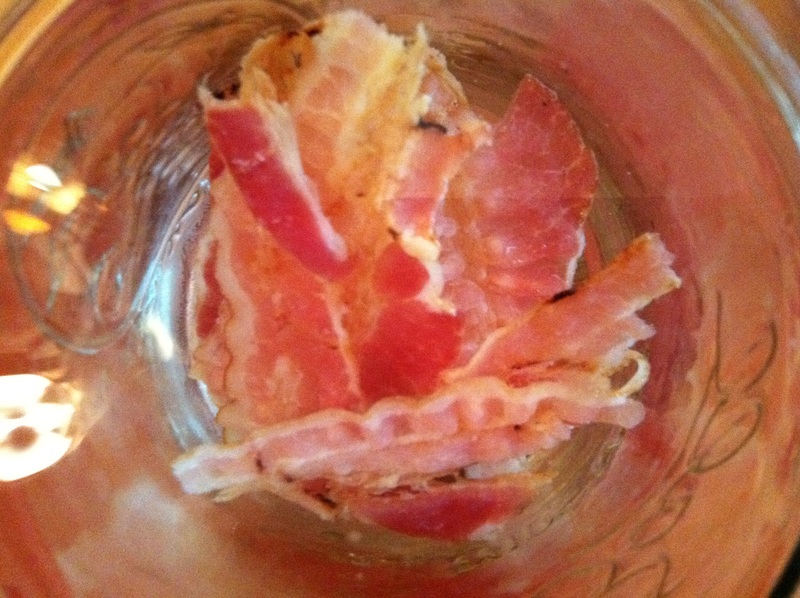 Place the cooked bacon in the clean mason jar – I used the precooked kind because it was just easier. Fill the jar with plain vodka of your choice. I used the brand you see in the photo. It was on sale for $10 a bottle. Top with a lid and screw band, shake it up, and stick in in a dark place for 3 weeks. Yes, 3 weeks out of the fridge. The vodka will essentially pickle the bacon so it’s safe. I stuck my jar in the cupboard that holds my drinking glasses and would shake it when I went to put away clean glasses. Now, just a warning. It looks gross as it goes through the infusing stage. Really gross when you shake it. But not to worry. All the gross will filter out. 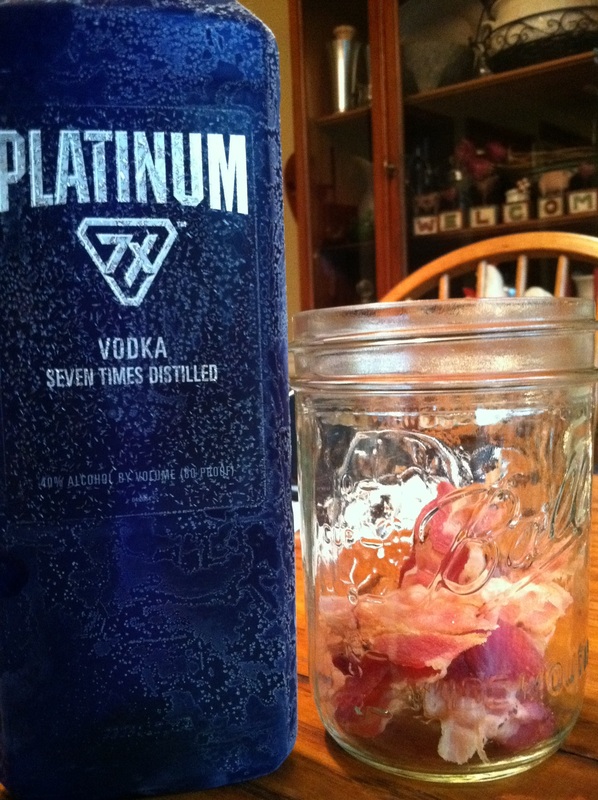 ^^^^bacon soaking in vodka. oh joy! 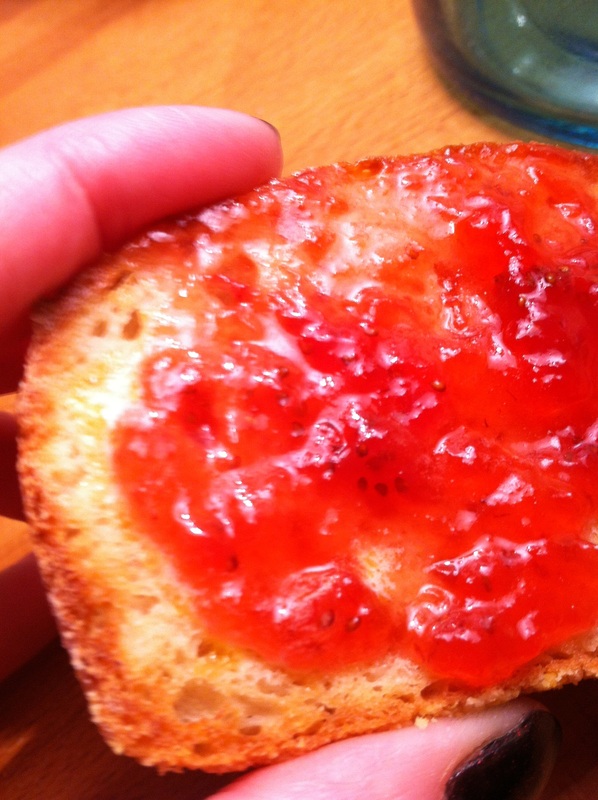 After 3 weeks, put your jar in the freezer. 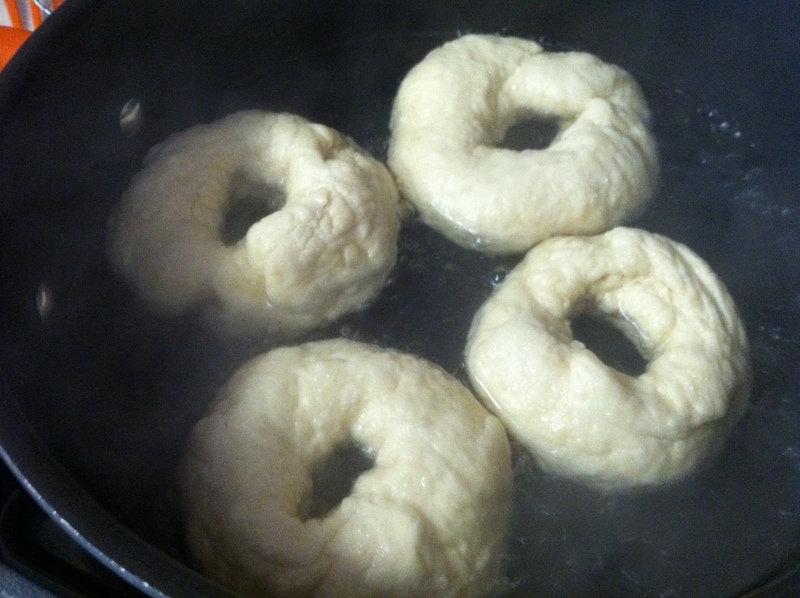 Once all the fat has had a chance to firm up, strain the vodka through a coffee filter into another clean jar. 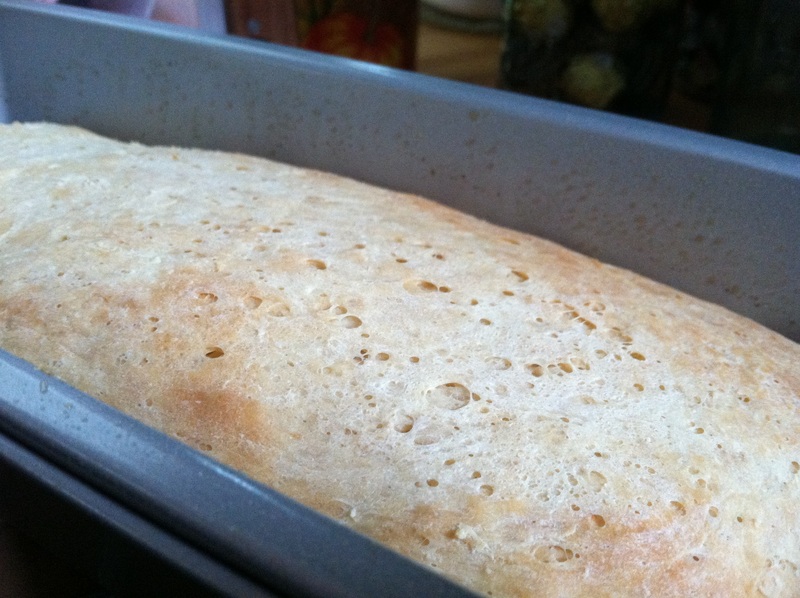 You can also use cheese cloth, but you will need to most likely strain it more than once. You want the vodka to be clear of any floating stuff and oils. Now you’re ready to get your drink on. Bloody Mary anyone? 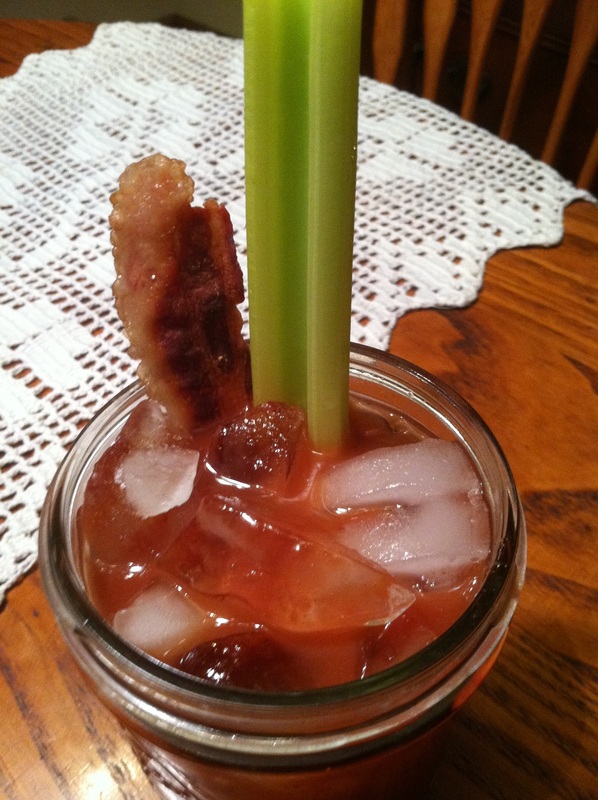 I used my bacon infused vodka in my favorite bloody mary mix -Zing Zang brand. And it was amazing! Strained and clear bacon vodka...look at that golden hue! A celery stick and a crispy piece of bacon for garnish. Bliss. 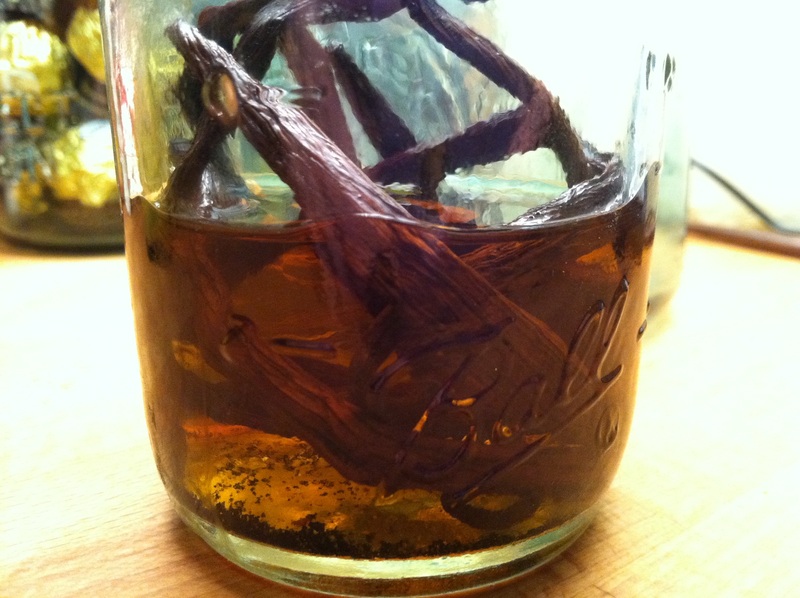 I know that you all probably know how to make your own vanilla extract, but I feel the need to share it anyway. Just in case someone doesn’t know how. It’s pretty simple, and also very affordable. 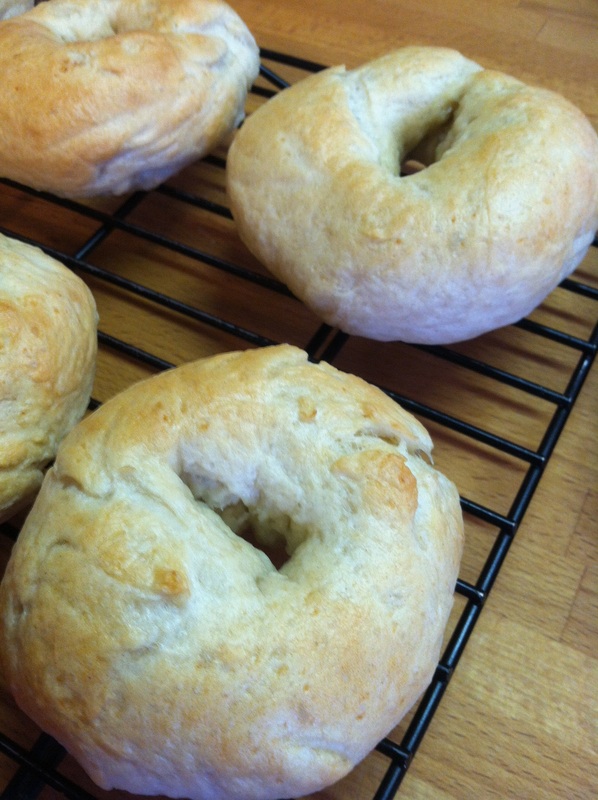 You may shell out more cost up front purchasing the vanilla beans, but over the long run? Cheaper than purchasing in the store. And you control it! I purchased my vanilla beans in bulk – from eBay! eBay is a great resource for things that you would otherwise spend a ton of money on! I paid $10 with shipping for 50 Madagascar vanilla beans. It would have cost me to same price to get just 3 vanilla beans from the grocery store. On sale! Now I can make vanilla extract whenever I need to – as well as vanilla bean scones, vanilla bean whipped cream, vanilla bean ice cream…you get what I’m saying! We even add a vanilla bean to some of our beer recipes to give them even more flavor. At $0.20 per bean, we can afford to put them in everything! Another idea: Make up a bunch of them and give them out as gifts! You don’t have to use a crazy expensive vodka – I used Svedka because it’s what I had. Buy whatever is on sale, whatever your fave is, or the $5.99 bottle at the bottom of the shelf. Just don’t feel like you have to use $50 a bottle vodka. 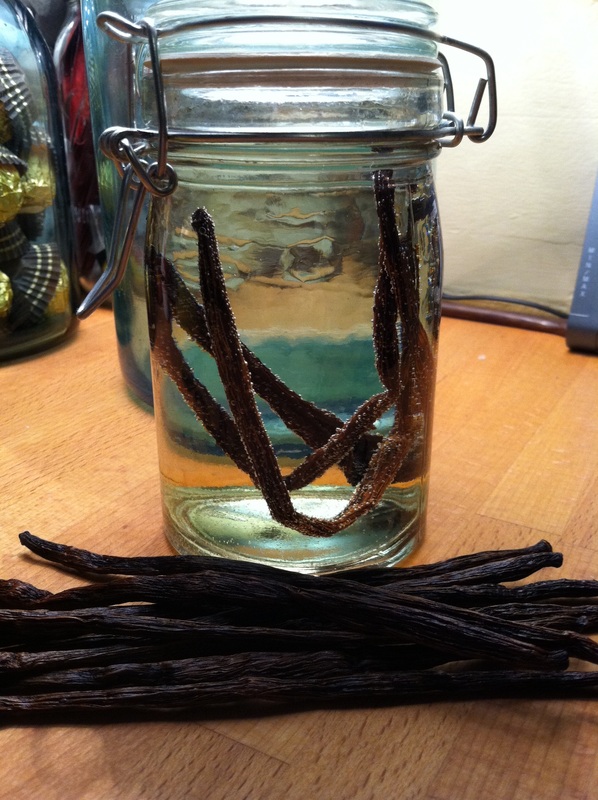 Put your split vanilla beans into your mason jar, top with vodka or rum and seal with a lid and screw band. Let sit in a dark place for 1 month, shaking the jar at least once per week. 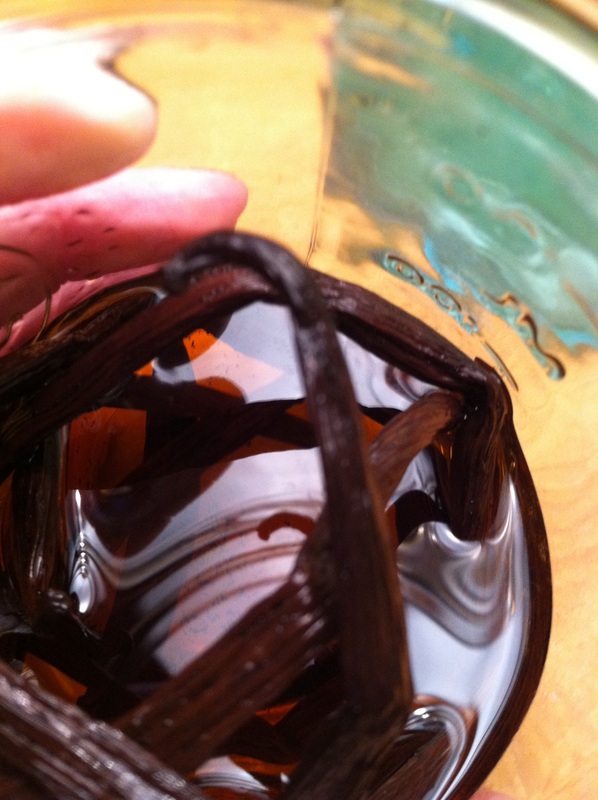 If using vodka or light rum, you will know your vanilla is ready when it’s a warm brown. Used dark rum? It’s ready when the rum is nice and dark, similar to a weak coffee. You can choose to remove your vanilla beans when your mixture is the color you want it to be. I leave mine in so that it continues to flavor it. Use as you would store-bought vanilla. This is what the vanilla will look like after you have let it sit. Like I said, I kept my vanilla beans in my vanilla but feel free to remove them. They will continue to infuse the vodka until they have nothing left to give.